Happy Thursday, all. This week has seen me immersed in #97 of the TIME 100 Novels – the 700 page epic A Dance to the Music of Time: Spring by Anthony Powell. The beauty of this reading challenge is the great exposure it provides to books that wouldn’t otherwise be on my radar. As someone who LOVES the old classics, the TIME list is also a brilliant guide to more contemporary novels. Fortunately, now that I’m coming to the end of #97, I’ve managed to pull myself away for long enough to write this post! Amazon has stepped up its monitoring of customer reviews in an effort to stamp out personal interest. The website is now watching for interactions of reviewers with authors on social media sites and using this as a reason to remove reviews on the basis of ‘eligibility’. This is a problematic development for fans of books – if you want to contact the author, subsequent reviews of their books on Amazon may be banned on account of your ‘personal relationship’. A change.org petition has been launched against Amazon’s latest monitoring tactic. This article is a great dissection of the e-book subscription services, growing in popularity. The various platforms offering this sort of service are continuously evolving as lessons regarding reading habits are learned. Read this article to learn a little more about upcoming changes. Are you a budding children’s author? This article offers advice from 6 top children’s books editors. A worthy read for anyone with an interest in the writing process and those techniques specific to writing books for children. As a student of human rights, I’m obviously interested in any place where my interests coincide. This discussion about the role of literature in conflict promises to be an interesting evening to consider the place of novels in times of great upheaval. I am utterly obsessed with this shop. 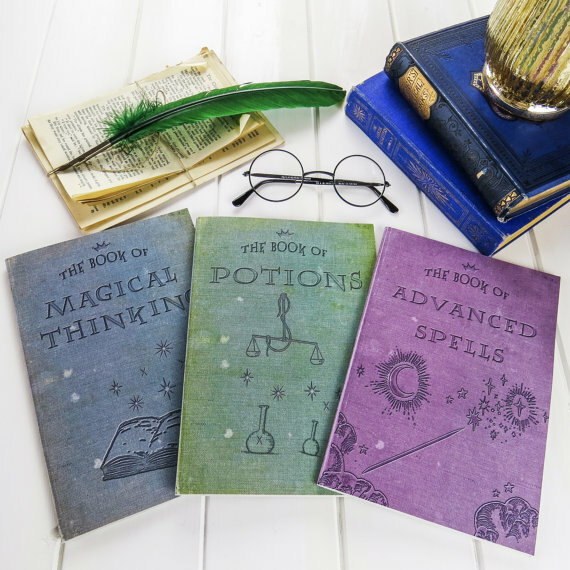 It has a fantastic array of literary-themed delights – notebooks, jewellery, and postcards, to name a few. If you’re looking for a gift for a fellow bibliophile (or want to treat yourself), this should be your first stop! Haha!! That's a real shame. But we've had such an amazing summer that I suppose we must be thankful! The trip is amazing. It's always good to come back and spend time with the family. How are things with you? Getting plenty of blog-related freebies?? I know! It is just about the greatest thing I have ever seen. But I fear that Shakespeare would not be impressed!Love the blog by the way! I just read about the Man Booker award this morning! So proud to be Kiwi right now! haha 🙂 I need one of those HP necklaces…right now. Actually, yesterday. And that is the cutest Alice in Wonderland necklace ever! Just been to my library and found Haruki Murakami's “Sputnik Sweetheart”. Thought I'd give this author a try as you have written his praises. I hope you enjoy it! I've not read that one. Murakami is very off-the-wall but he really is one of the most brilliant contemporary authors. Utterly unique and a total genius. That's one of my favourite quotes ever. 🙂 And now I want every single one of those amazing bookshelves in my house. Seriously, that is a whole lot of crazy right there. I love it! I know, right!? Mega quote. And the bookshelves are amazing. I think I'm going to have a room just full of crazy bookshelves. That's the dream anyway. Why else would I work to earn money? Love Doris Lessing's novels. Have you read her first book “The Grass is Singing”, set in Africa? I love Juan Gelman's poem, such tender words of love. His poetry is beautiful. Unfortunately, less celebrated in the English-speaking world. But even in translation it's extremely powerful. I love Barbara Kingsolver's novels. I've read most of them. The latest “Flight Behaviour” is brilliant. I recommend it Laura. OHMYGOSH that chair! It's amazing! I want one….or at least one that is similar that's not so much money haha 🙂 and those coasters! So cute! Love them! It seems like we've been unconsciously mirroring each other — my beach reading in South Carolina was Sophie's Choice and All the King's Men, while one of my all-time favorite novels is The Poisonwood Bible. We should be friends. All great information. 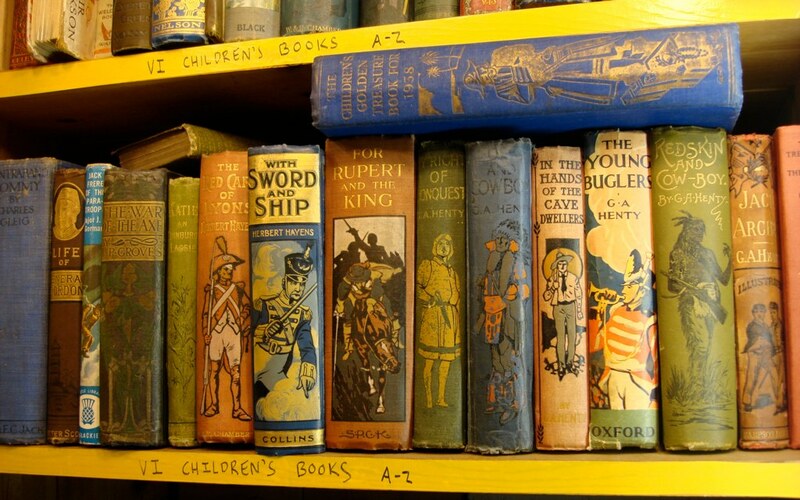 I love your photo of the children's books with those beautiful spines! And I'm glad to learn about the Literary Emporium. Have a lovely weekend!